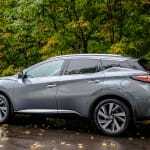 Nissan made a big splash in the SUV world back in 2003 when they first launched the Murano. 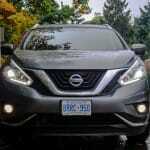 Its dramatic and edgy styling caught the eye of everyone on the streets and quickly made the Murano a household name. 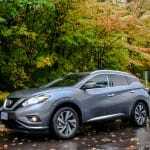 It was a large departure from the tall and boxy Pathfinder that Nissan had been known for at the time, but the timing was perfect as the Murano came to exist right at the cusp of the crossover vehicle boom. 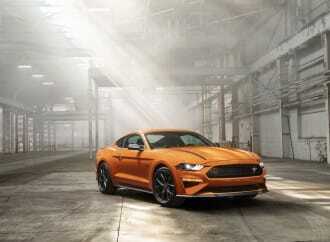 The latest version, now nearly two years old, follows that same formula of edgy styling, both inside and out, along with tried and true V6 power to set itself apart from the competition. 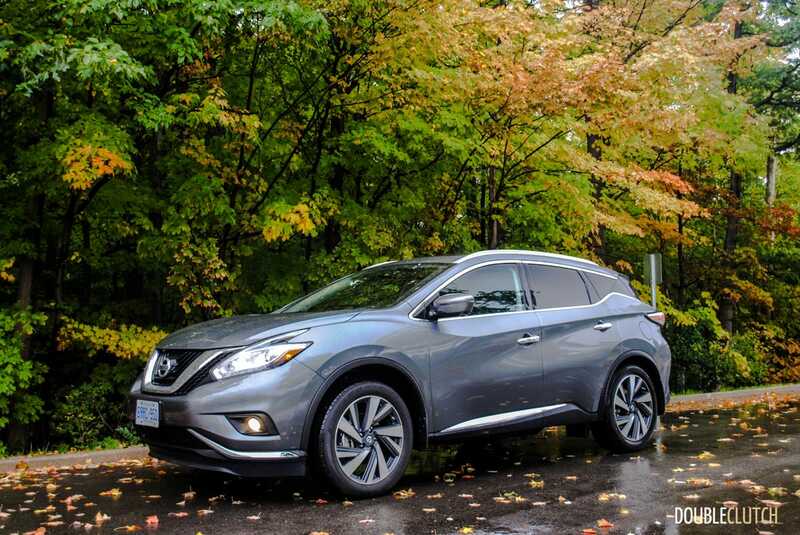 With winter approaching, the crossover SUV market is quickly heating up, so our friends at Nissan set me up with a 2016 Nissan Murano Platinum, fully loaded in Platinum trim. 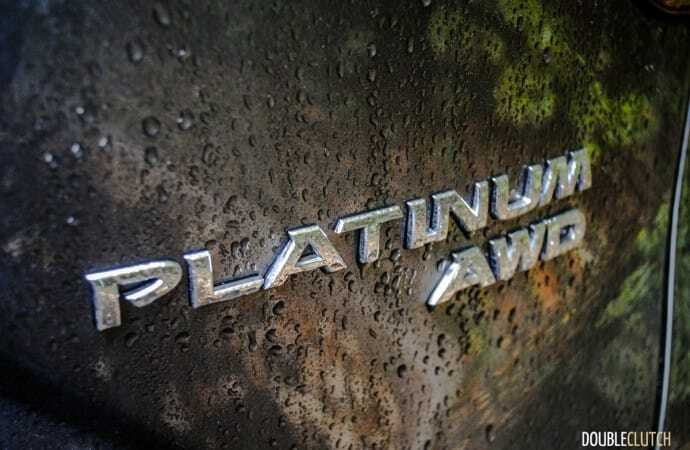 Given its polarizing looks and the fancy 20” wheels standard on the Platinum, I was hoping for an equally interesting color, so I was a little disappointed when I picked up a Gun Grey Metallic tester. 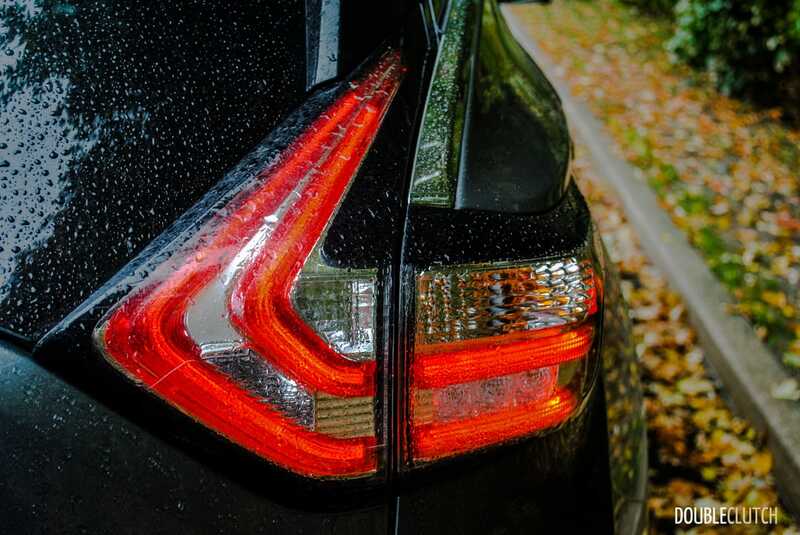 Sure, the Murano’s unique style still stands out, especially the huge boomerang shaped front and rear LED lights, but the color really doesn’t do much to play up the edgy lines. 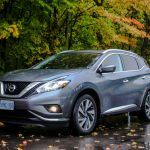 Nissan offers a gorgeous Pearl White, or even the coppery Pacific Sunset color (a Murano signature for over a decade now) would look incredible – if you’re going to go flashy, go all the way. 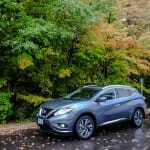 Styling itself is always highly subjective, and the Murano received plenty of both positive and negative comments during my time with it. 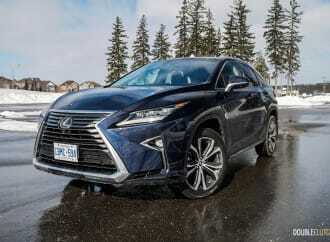 Personally, I am not sure it’s going to have the memorable impact that the first generation basked in, but it is a uniquely muscular looking crossover SUV in a segment full of vehicles that are all starting to look the same. 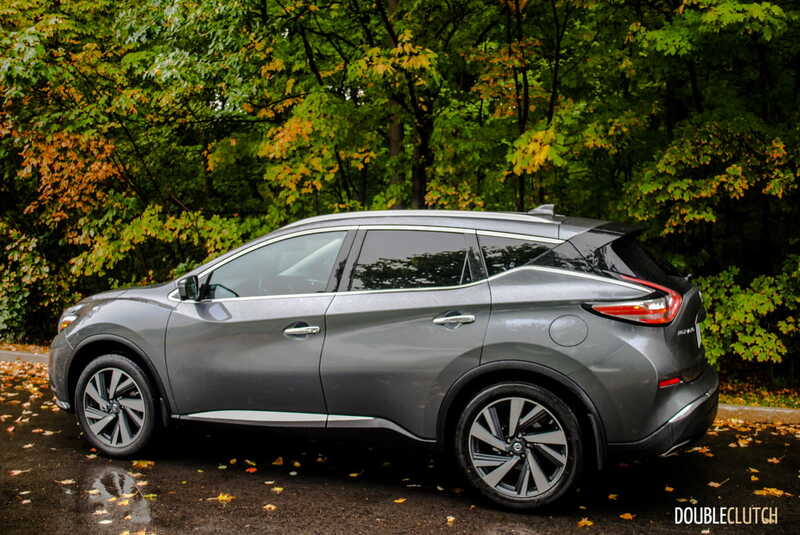 At first glance, the Murano sits in a rather odd place in Nissan’s SUV lineup. 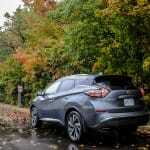 With a starting price of $29,998 for a base model front-wheel-drive, it’s more money than the Rogue (reviewed here), which despite its smaller dimensions and lack of V6 power, does offer third row seating, an omission from the Murano. The Pathfinder (reviewed here) starts at a couple thousand dollars more than the Murano. 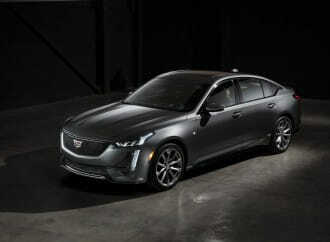 It’s larger, boasts the same V6 and comes standard with a third row. 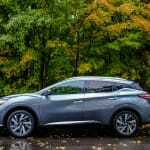 Having recently driven all three, I can tell you that the Murano is a more upscale SUV than the other two, with a greater focus on style than outright practically, and as such it fills a void in the midsize premium crossover segment that only a short list of other brands compete in. 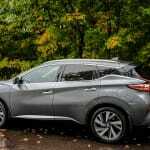 The Murano’s unique mission is a lot more obvious from the inside, which I found to be laid out very well for my current situation. See, I carpool into the city some mornings with two others. Everyone wants their personal space for the long commute with comfort, and you want to be able to chat with one another too. 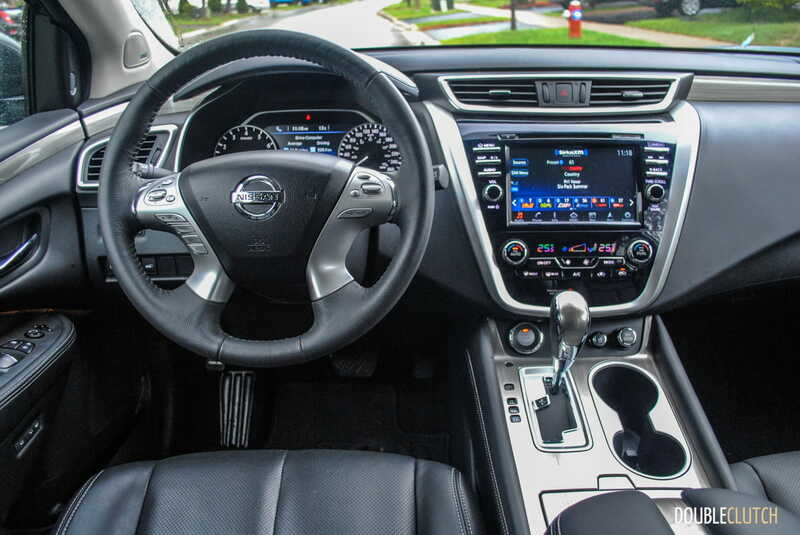 The Murano’s “zero-gravity” NASA-inspired seats are phenomenal and kept everyone in the utmost of comfort, and the noticeably wide center console helps to give everyone their own personal space. 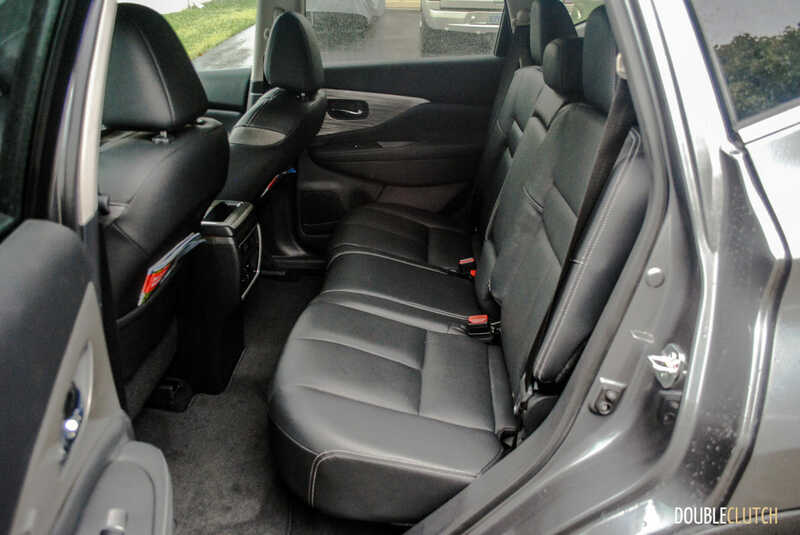 The wide separation between the front seats also makes it easy to converse with the person in the back seat, while the silent cabin free of road and wind noise prevents the need to even raise your voice. 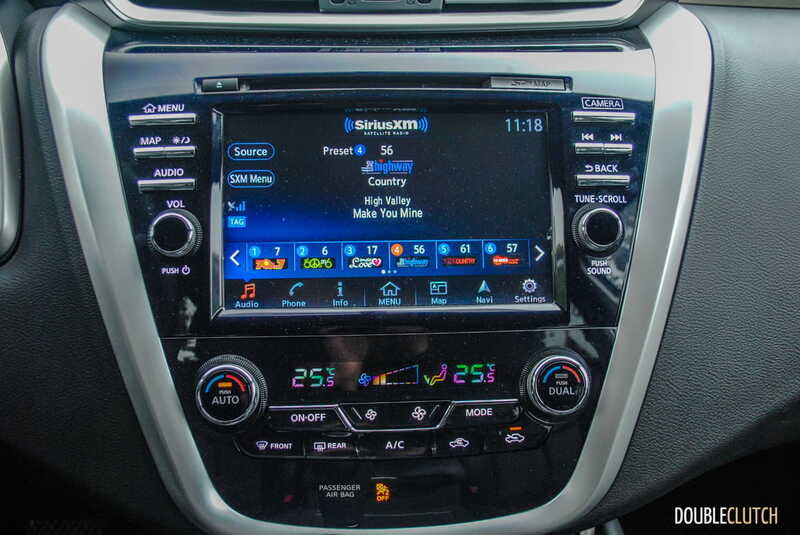 These might not be significant traits when you’re shuttling around an army of kids and their junk, but that’s not likely what the Murano’s designers intended. 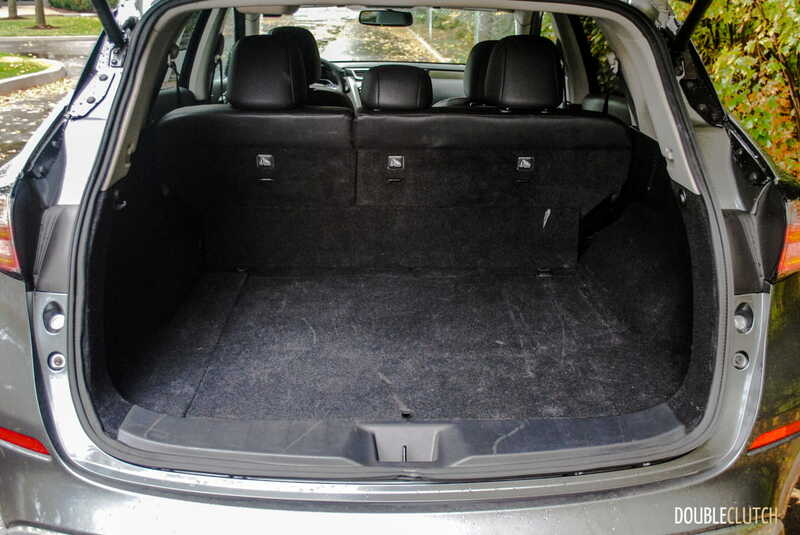 Also, not having to worry about space for a third row means that the second row has a generous amount of legroom, and the cargo area behind it is seriously large, even with the rear seats still upright. 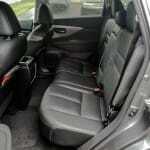 The cabin space itself is laid out very well. I’ll mention the extra wide center console again because I loved it so much and it offers tons of handy storage and a spacious resting place for my phone. 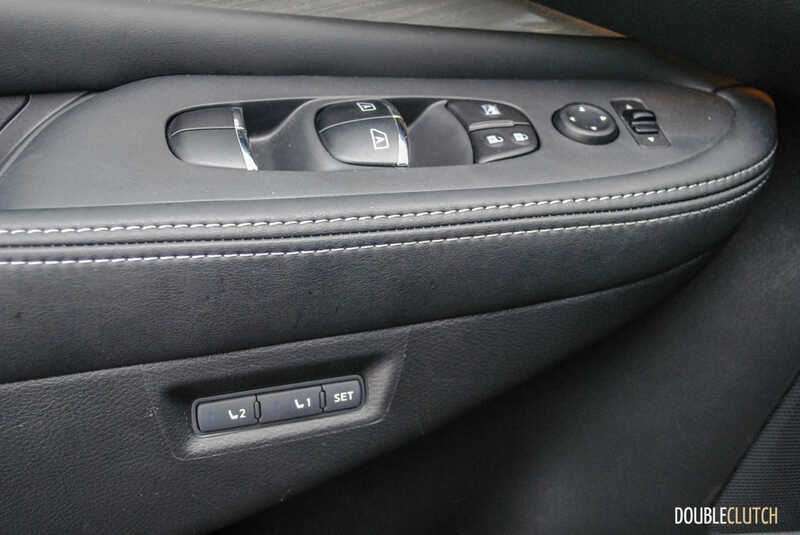 The dash is laid out cleanly and all controls are clearly marked in bold white lettering – nice, no guessing here. 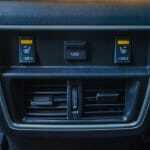 I always find the radio tuner knob out of reach in Nissans and this is no exception. 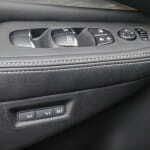 I also found the steering wheel controls a little awkward, but after a week with the Murano I’d gotten used to them. 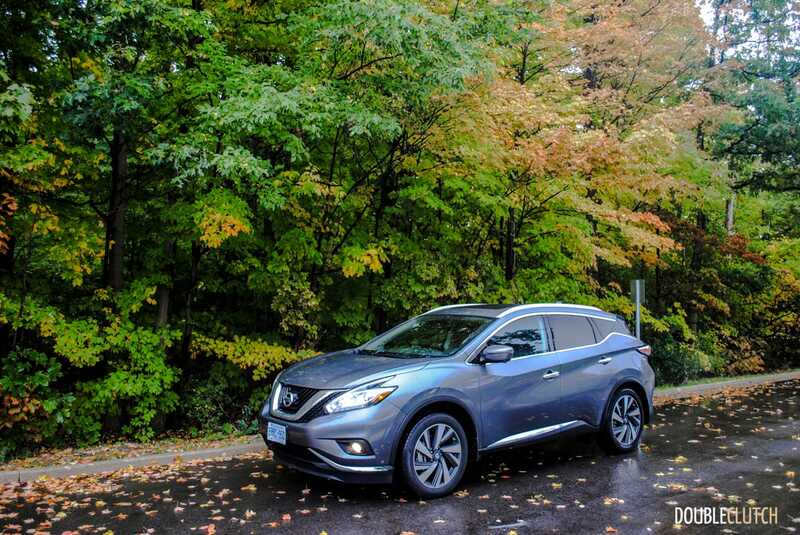 The panoramic sunroof, standard on all Murano models except for the base ‘S’ model, lends an open feeling to the already spacious interior. 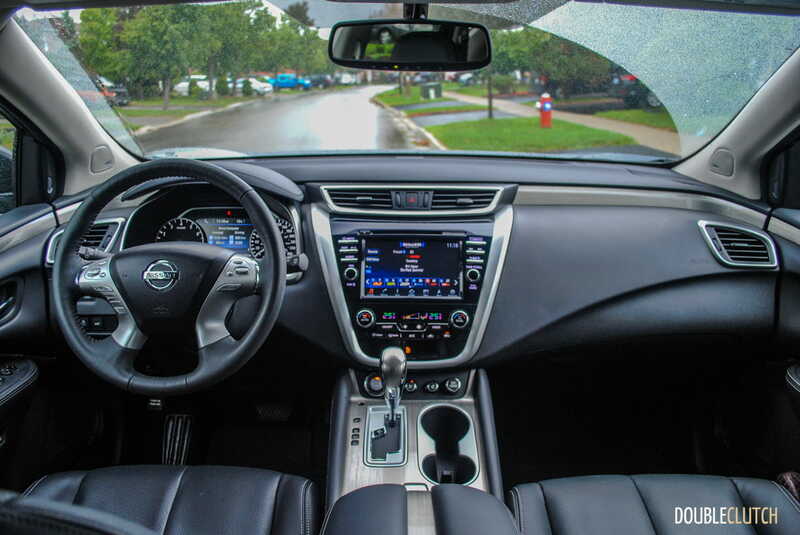 Materials are either a big hit or a total miss inside the Murano; the soft perforated leather on the seats is great and very luxurious feeling, as is the use of leather on the door panels and the dashboard materials. Unfortunately, there is also an abundance of a plastic faux brushed aluminum, at least that’s what I think it is, used as an accent all over. 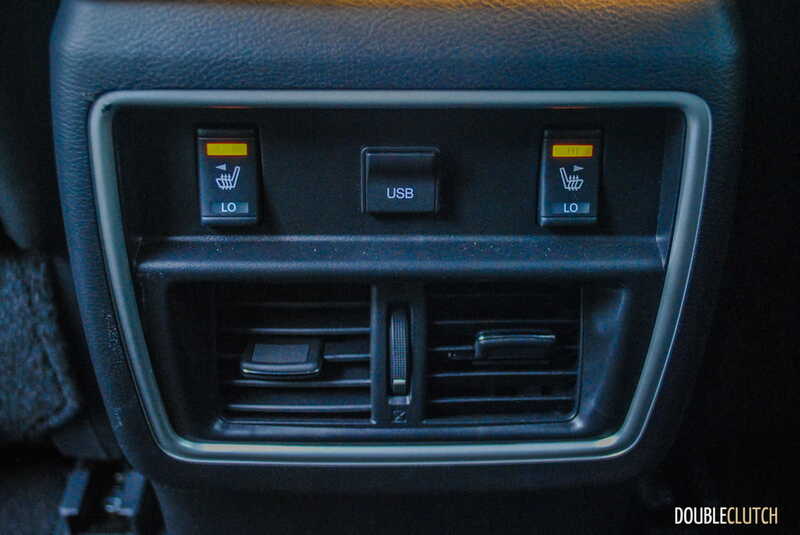 It’s definitely out of place in an otherwise well executed interior and feels a bit cheap. 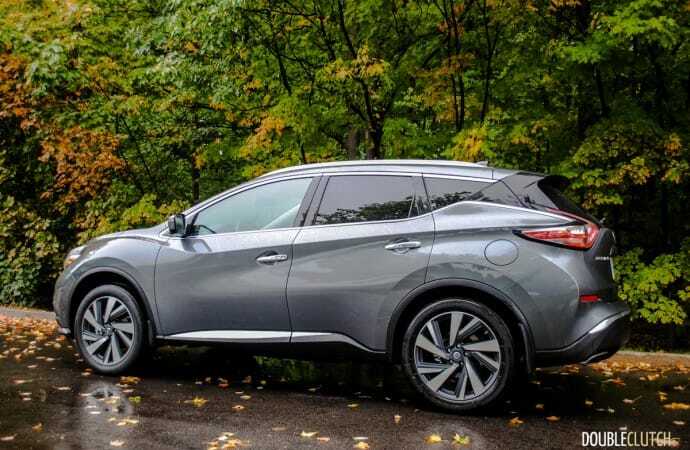 I actually came away quite impressed with the Murano’s road manners, a pleasant change from both the Rogue and Pathfinder, both of which felt sluggish and disconnected. 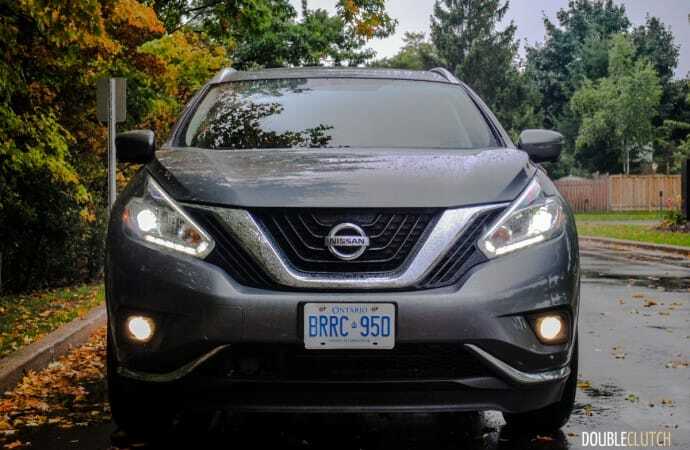 The Murano is quick to respond to throttle inputs and with its Xtronic CVT transmission, it makes good use of the 260 horsepower available from the 3.5L VQ-series V6. 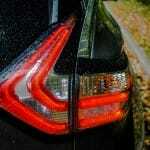 Merging and passing is relatively effortless, although the CVT does get a little whiny under hard acceleration. 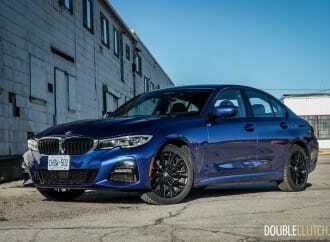 I thoroughly enjoyed the V6, which as one of the remaining naturally aspirated units out there offers nice smooth power delivery across the rpm range. 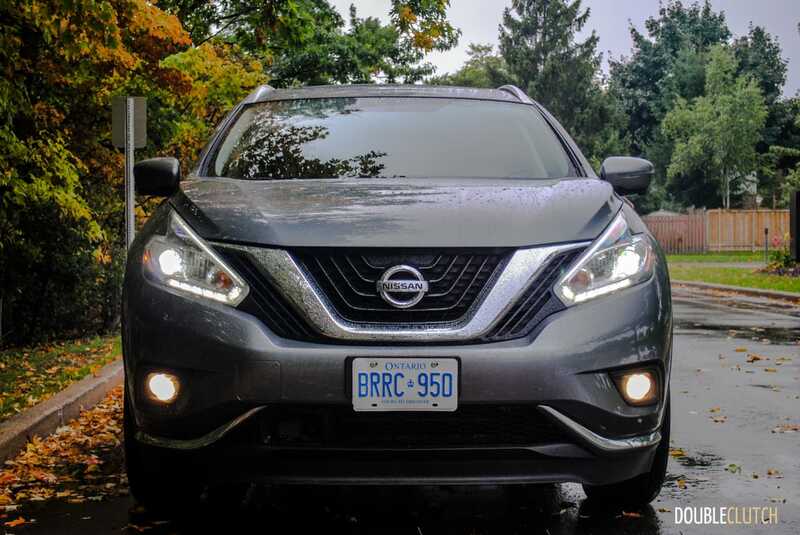 The Murano’s steering is light in actual effort (thanks to the electric assist on the power steering) but direct and tight, making quick maneuvers a lot more confidence-inspiring than in many comparable crossovers. It feels more nimble and responsive than I would have initially expected. 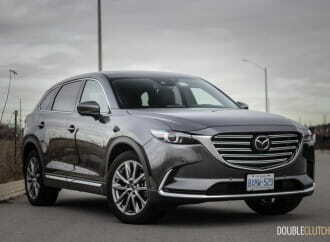 Combine that with its soft ride and silent interior, and you’ve got a crossover that’s actually very enjoyable to drive on a daily basis. 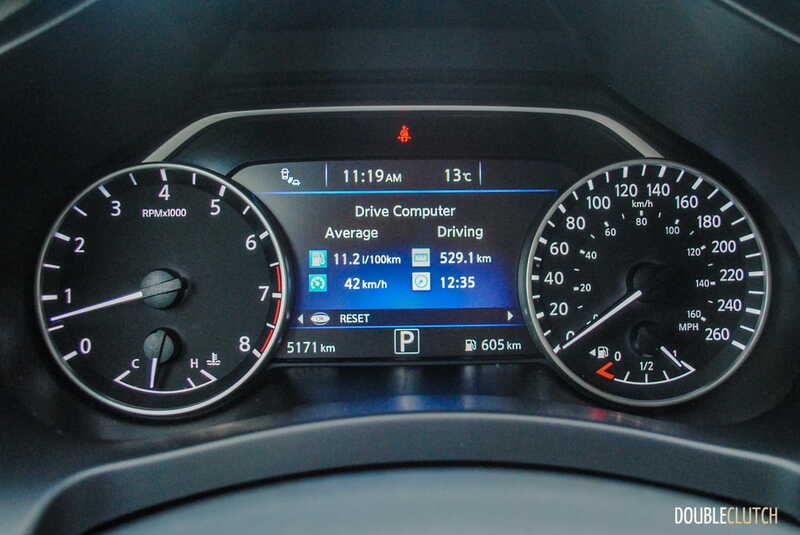 What the CVT lacks in straight line performance it makes up for in fuel economy, and I netted a respectable 11.2L/100km over my week of rush hour commuting, all on regular 87-octane gas. 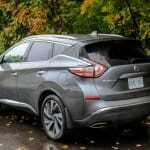 This comparable to many of the turbocharged four-cylinder SUVs and crossovers I’ve recently tested, some of which require premium fuel, and none of which are able to match the smoothness and refinement of the V6 in the Murano. 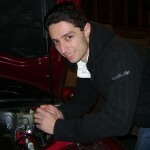 It may be a dying breed, but the importance and refinement is unmatched by most others. 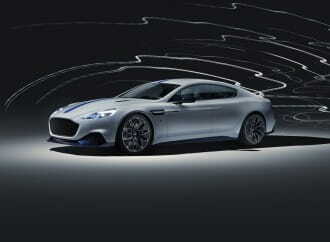 My particular tester represents a fully loaded model and carries an as tested price of $43,998. 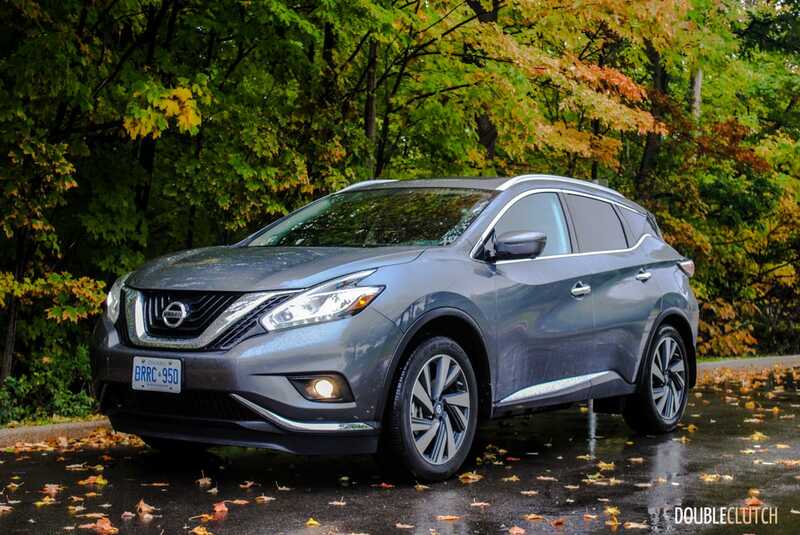 While even the lesser trim levels of the Murano come fairly well equipped, the Platinum tested here gets you all the toys. 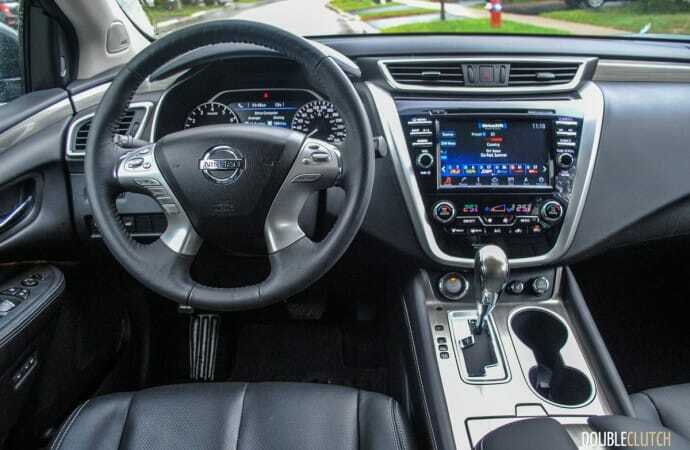 Notable features include heated and ventilated front seats, heated rear seats, aerial and rear view cameras (Nissan’s SurroundView monitor system), a great-sounding Bose stereo system, remote start, power liftgate, blind spot warning, cross traffic alert and forward emergency breaking. 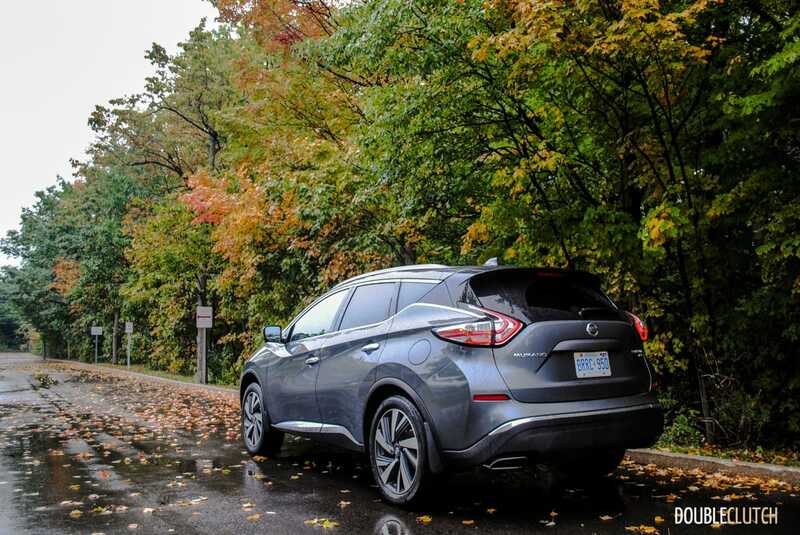 Aside from actual gadgets, the Murano comes with a capable all-wheel-drive system which is sure to come in handy in the colder months. $44,000 sounds like a fair bit of money, but I can tell you from experience that you’d be hard-pressed to find a comparable new midsize crossover, especially with the massive list of features on board this Murano, and a similarly pleasant driving experience, for less money. 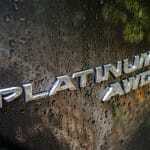 I particularly enjoyed my week with the 2016 Nissan Murano Platinum simply because it’s unique. 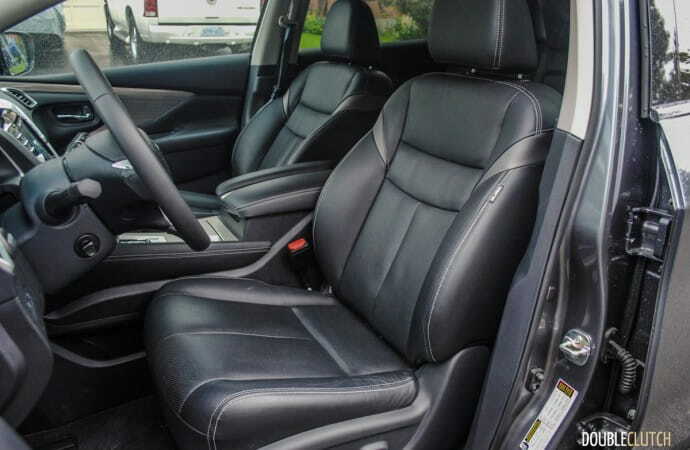 It looks different than everything else out there, it’s very satisfying to drive, and the interior is configured perfectly for my daily usage. 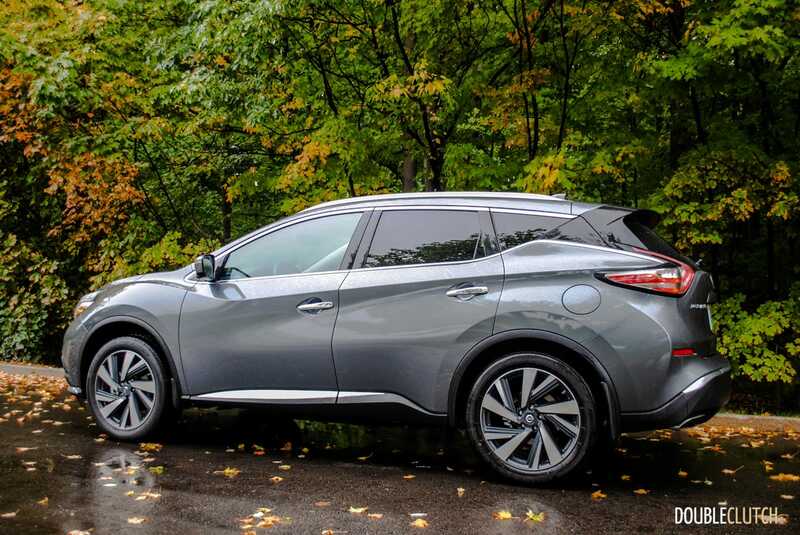 That said, the Murano isn’t for everyone – its quirks are either something you appreciate or not. 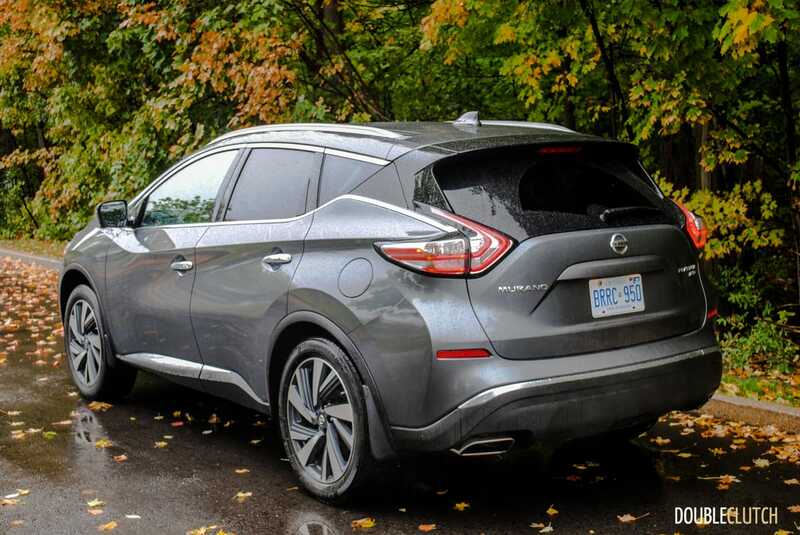 I can see the Murano working very well for younger professional couples who need a versatile vehicle to commute with and escape the city on weekends, or empty nesters looking for something with the confidence of AWD while still maintaining a car-like driving experience. 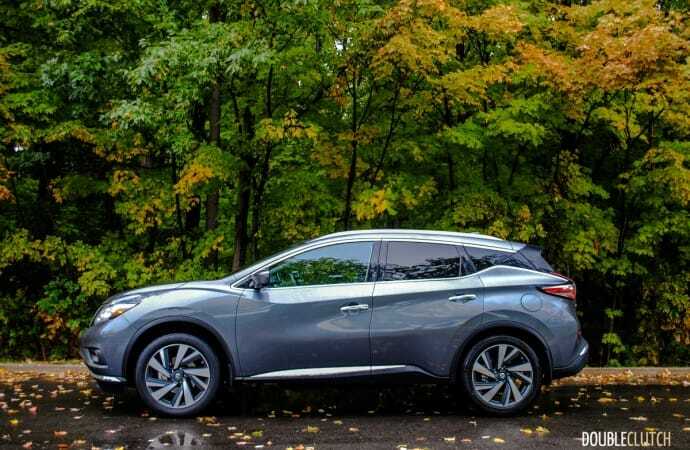 My best advice if you’re thinking about a new mid-sized crossover is to spend some time with the Murano before making a decision to see if it’s the right fit for you.